This book will save you ££s when buying and selling a house! Here’s the first myth this book will explode about house buying and house selling: it is in estate agents and conveyancing solicitors interests to make us all believe that only those who have gone through long, expensive and involved legal training can possibly understand the intricacies of house buying, house selling and conveyancing. Updated for this sixth edition by barrister Georgia Bedworth, this bestselling book by Joseph Bradshaw, described in The Times as the ‘guru of layperson conveyancing’ explains just how straightforward the whole process of house buying and selling really is. House Buying, House Selling & Conveyancing will guide you through the process of selling and buying property (whether houses or flats) inexpensively: by cutting out solicitors and estate agent middlemen. Not only can you sell and buy a house yourself: you can do it economically and easily. Don’t believe the hype – it really isn’t rocket science to sell or buy a house yourself. The legal side of transferring a house after a house sale from one owner to another is done by filling in simple forms. We’ll show you how! And the money side of house selling (i.e. selling one house to pay for another) is a simple business transaction. We’ll talk you through it step-by-simple-step. House Buying, House Selling & Conveyancing covers everything you need to know about buying a house yourself and selling your own house. It covers every area in-depth and in simple laymen terms. Along the way the book is packed with advice and tips on every area of the process such as moneylenders, house contracts and the exchange of contracts, gazumping, gazoffing and gazundering, registered and unregistered properties, and all the insider secrets and tricks of the trade for layperson conveyancers. If you want to save yourself ££s and buy or sell your house yourself, you need House Buying, House Selling & Conveyancing. Should I sell my own house first or buy a house first? Selling a house can be complicated, sometimes takes a long time, and mistakes can be costly. The process can be stressful and full of delays, and is rarely undertaken without help from a whole raft of experts who earn their living on the back of home buyers and sellers. Not surprisingly, someone selling a house for the first time can feel bewildered and overwhelmed. 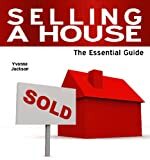 If you have never sold a house before, this book can be your guide, and is packed with helpful advice to make the process of selling easier. On the other hand, if you have sold a house before, but been dissatisfied with the process or the outcome, this book is also for you. You will already have experienced part of the learning curve, but every property sale is unique and it can take several sales before you feel that you qualify as an experienced seller. This easy-to-read guide will steer you through the whole process, right from the initial decision to sell, to the completion of the last piece of paperwork. It will look at what you can do before you put your property on the market to attract buyers and maximise the price. The various methods by which a property can be sold will be discussed, along with the paperwork and costs you may encounter. The agencies and individuals you will need to work with as you market your house will be examined, and guidance given on viewings and negotiations. With this help you will be able to approach the sale of your house with increased knowledge and confidence, and reduced stress and worry. Homes that aren’t staged correctly not only take longer to sell, but sell for less. So what’s the solution? Learning how to stage it correctly – straight from a realtor! “STAGE IT RIGHT” shares all the best secrets, tips, tricks & techniques used by industry experts, home design gurus, real estate experts and home staging pros to get the job done right and for maximum profit. WHY YOU SHOULD THROW HOUSE UNWARMING PARTY! “STAGE IT RIGHT” is like having all the best advice from top industry pros right at your fingertips for every step of the way, enabling you to stage a house to its best possible advantage and get the best sale price possible.